We are a group of national faith-based organizations from various faith traditions and we are writing to you because our shared values call on us to advocate on behalf of the workers in the meat packing industry. We believe that all workers are entitled to safe workplaces that are free of dangerous conditions and that it is the responsibility of the government to act in a way that improves the safety of workplaces. It is because of these beliefs that we call on the USDA FSIS to reject the proposed Modernization of Swine Slaughter Inspection Rule, which would allow faster line processing speeds in swine packing plants, and to deny any requests for waivers that would allow for faster line speeds in poultry processing plants. There is research that goes back as far as thirty years which definitively demonstrates that fast line speeds are the cause of serious debilitating injuries and illnesses. Meat packing workers use knives, saws, and hooks to make tens of thousands of precise repetitive and forceful motions everyday. According to the Bureau of Labor Statistics these workers are injured at rates that are 2.4 times higher than the national average. For serious injuries that require time off of work or restrict an employee’s duties that rate rises to 3 times the national average. Study after study has shown that higher numbers of forceful repetitive motions leads to higher rates of serious workplace injuries and allowing faster line speeds will only exacerbate these injuries. Our values lead us to the belief that the government has a duty to help prevent these predictable injuries from occurring. Instead of allowing faster line speeds which would cause more forceful repetitive motions the USDA should require plants to hire more workers, and decrease the force, line speeds and production rates. Not only would increased line speeds impact the workers themselves but they would also have a negative impact on the entire community. Injuries and fewer production hours would lead too less financial contributions into communities. 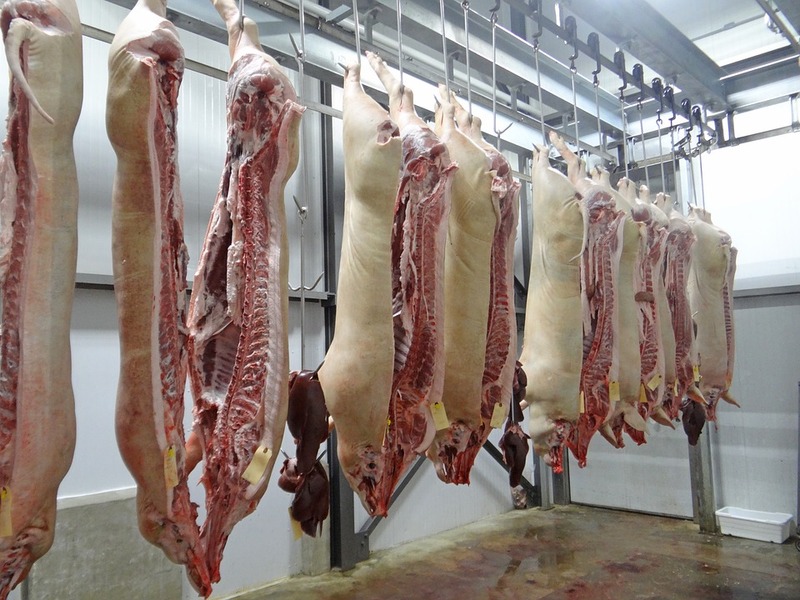 Lastly, faster line speeds can lead to contaminated meat leaving the plant and harming the health of the community. As people of faith, we believe that labor has a sacred bond with the dignity of all people. However we labor, our work contributes to the creation of community, the richness and diversity of culture, a chance for every human to connect in fellowship with one another. As groups rooted in faith and from a moral perspective, we are committed to a public witness of justice and peace and in that spirit we ask that the USDA reject any rules or waivers that would allow for faster processing line speeds in any meat packing plants. We ask that you not put working people’s lives in danger to allow plant owners to make a little extra profit.